For the first time ever an XLRI Chapter in a city held an alumni meet which invited alumni from other Metro cities too. 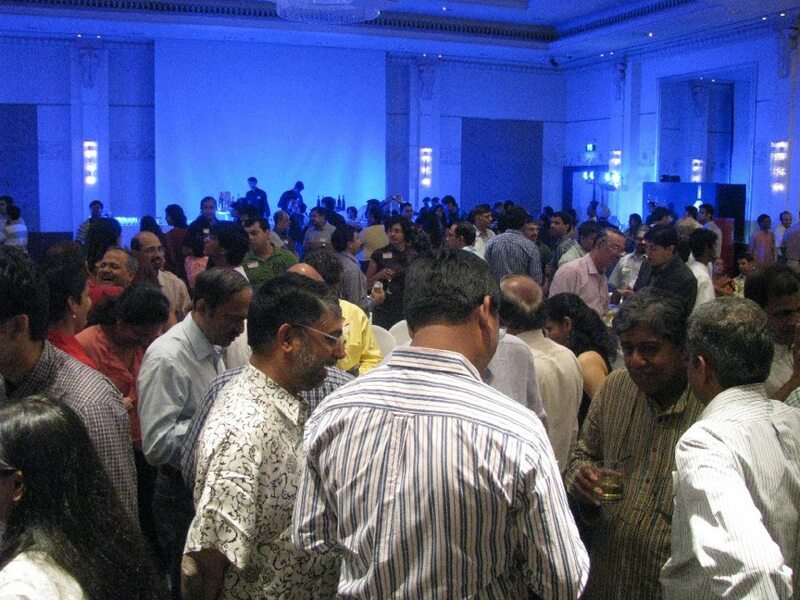 Bangalore played host to the largest gathering of XLers ever. XLers from Hyderabad, Chennai, Kerala Baroda, Mumbai and of course Jampot turned up ! The total count for the evening was 475. 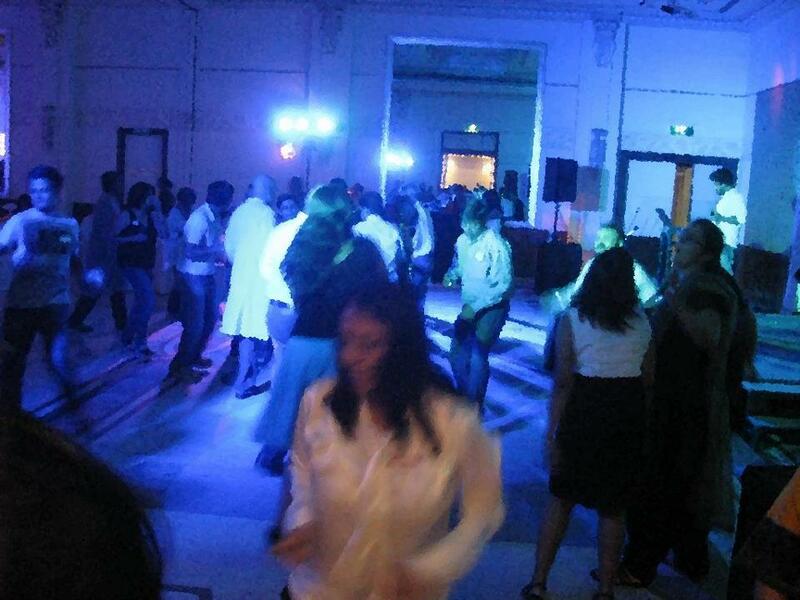 The 2011 batch was the most represented batch with more than 50 people turning up from that batch. This was the first time technology had played a big role in registrations, with alumni who pre-registered for the event on the XL Bang website getting an early bird discount. 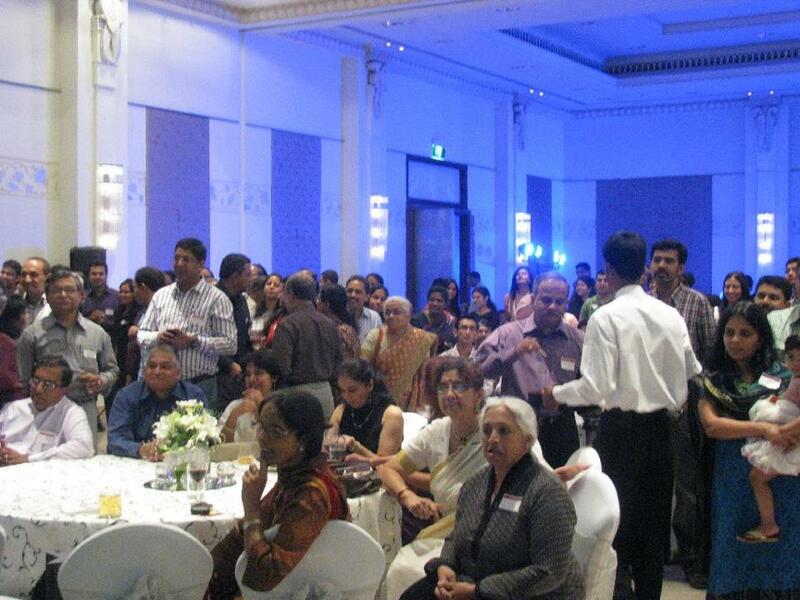 The venue was the picturesque ITC Royal Gardenia, who was the hospitality sponsor. Special invitees to the event were Fr. Abraham (himself an alumnus from the batch of ‘78), current Director of XLRI, Prof. MG Jomon, the Alumni Chair, Prof. Sharad Sarin, Prof. Pranabesh Ray (alumnus from the batch of ‘77), Prof. Madhukar Shukla and Ms. RoshanDastur. 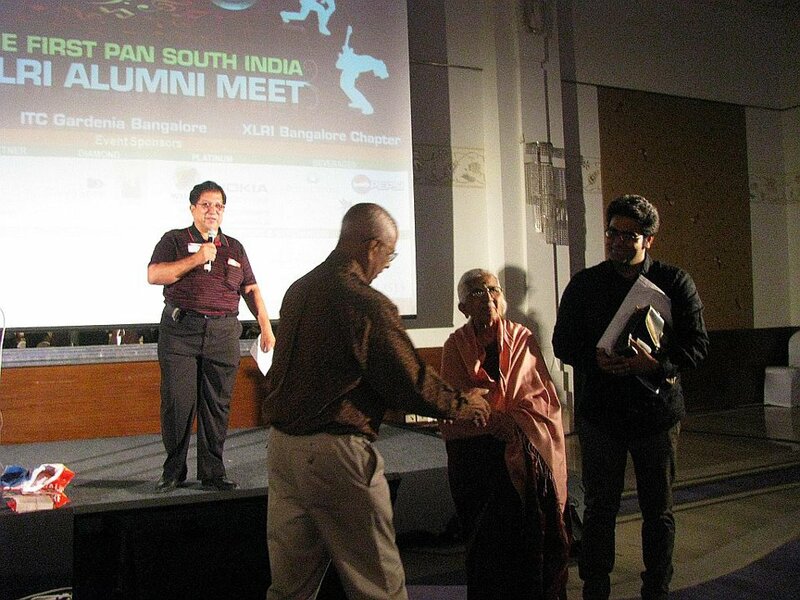 The evening kicked off by David D’Costa (batch of ’76 and President of the XLBang Chapter) introducing Mrs Sundari Thyagarjan from the ’55 batch – the first batch of XLRI – and who was felicitated by Mr Dominic Thomas (59 batch). Fr. Abe presented to the alumni on the various initiatives being taken at XLRI, including globalization plans, a new campus in Delhi and the growth of the Jamshedpur campus across the river! 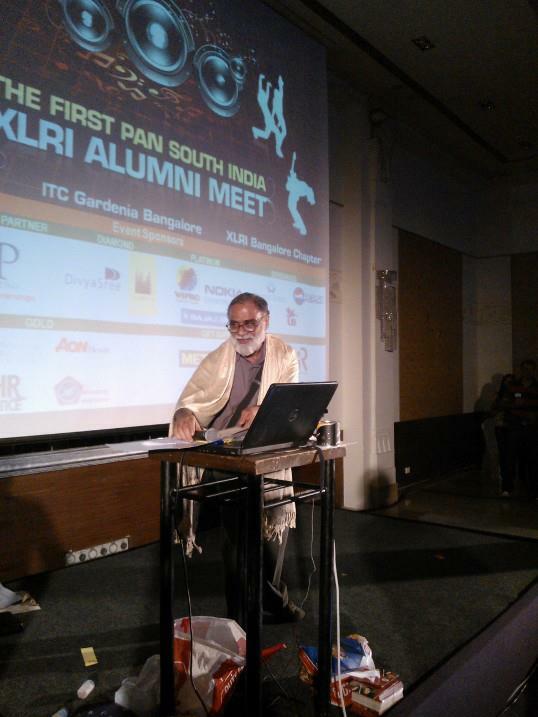 Prof. Sarin updated the alumni on the XLRI Endowment Fund – the purpose and plans for the same. Prof. Madhukar Shukla was felicitated by the XLBang Chapter for his outstanding contribution to the XLRI alumni committee over the last 14 years. After this it was time for the festivities, with the band of the evening striking up music to which XLers from across the batches danced and had a merry time. 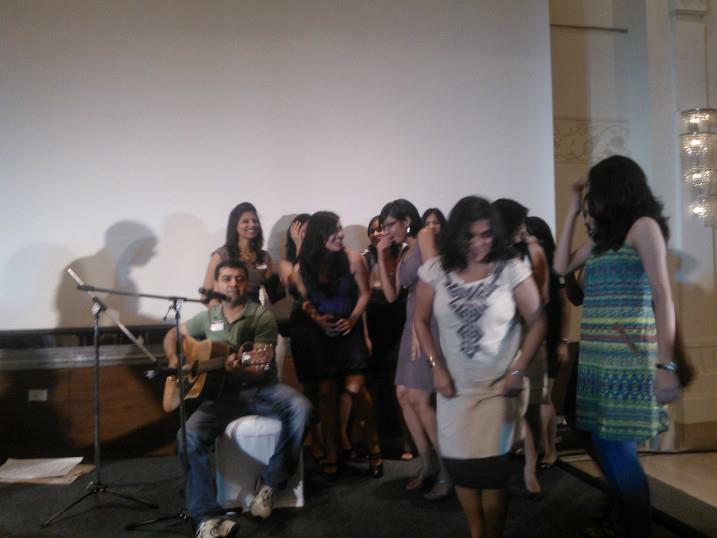 Rohit Munjal (2001 batch) who had composed the super-hit cult song “XL ki Kudiyan” sang it and XL ki kudiyan danced on the stage! Other XL hits like “XL meri Jaan” were also sung. With midnight approaching XLers then headed to the amazing Indian and Oriental food spread the chefs at ITC had put together. Special thanks to the sponsors of the evening, P4P Consulting, Divyasree Developers, Sobha Developers, Bajaj Allianz Life Insurance, Wipro, Nokia, Pylon Management Consulting, Titan – Fastrack, Performance Consulting International, Aon Hewitt, The HR Practice, 5E Serpraise. The gifts and merchandise was sponsored by Metro, Madura Garments, Windflower Spa and Resorts and Jacques Lemans thru’ Retail Interface. US-based Semiconductor Company with significant India presence is looking for Manager, Accounting to oversee critical India finance operations. The company is seeking a high-energy, hands-on individual desiring a challenging position with diverse responsibilities. This position offers significant opportunities to willing individuals to streamline processes. • Oversee accounting activities in accordance with the company policies and procedures and responsible for accurate and timely financial reporting and statements of India legal entities. This position requires occasional travel to U.S and Singapore. Current travel percentage is approximately 5% but may increase as business grows. • Proven track record as a contributory member to the management team with the ability to lead and work alongside an existing finance team. • Dynamic, strategic, self starter, possessing acute business acumen and strong leadership capabilities. • Willingness to work hands-on in addition to developing and executing the strategic vision for the department. • Sound technical knowledge and strong operational and financial background. • Familiarity with US Sarbanes-Oxley Act is an added benefit. • Experience in MNC environment/semiconductor industries will be an added advantage. • Strong PC skills, including Microsoft Office products (Excel, Word). • Experience with Peoplesoft or other ERP system a plus.